Illumination estimation is an important research content in mixed reality technology. This paper presents a novel method for locating multiple point light sources and estimating their intensities from the images of a pair of reference spheres. In our approach, no prior knowledge of the location of the sphere is necessary, and the center of the sphere can be uniquely identified with the known radius. The sphere surface is assumed to have both Lambertian and specular properties instead of being a pure Lambertian or specular surface, which guarantees a higher accuracy than the existing approaches. The position estimations of multiple light sources are based on the fact that the specular reflection is highly dependent on highlights. One sphere is utilized to determine the directions of the light sources, and two spheres are used to locate the positions. The images of reference spheres are sampled and partitioned with multiple light sources in different positions. An illumination model is used to calculate the intensities of the ambient light and multiple light sources. Experiments on both simulation and synthetic images show that this method is feasible and accurate for estimating the positions and intensities of the multiple light sources. C. Xu, H. Li, and C. Han, “Estimation of Position and Intensity of Multi-Light Sources Based on Specular Sphere,” J. Adv. Comput. Intell. Intell. Inform., Vol.22, No.4, pp. 491-497, 2018. D. Kamboj, W. Liu, and N. Gupta, “A review on illumination techniques in augmented reality,” 2013 4th Int. Conf. on Computing, Communications and Networking Technologies (ICCCNT), pp. 1-9, 2013. K. Jacobs and C. Loscos, “Classification of Illumination Methods for Mixed Reality,” Computer Graphics Forum, Vol.25, Issue 1, pp. 29-51, 2006. T. Takai, A. Maki, K. Niinuma, et al., “Difference Sphere: An Approach to Near Light Source Estimation,” Computer Vision and Image Understanding, Vol.113, Issue 9, pp. 966-978, 2009. J.-T, Ma, Y. Zhou, Q. Hao, et al., “Marker cube and probe sphere based illuminant detection algorithm,” Int. Symp. on Photoelectronic Detection and Imaging 2007: Image Processing, Vol.6623, 2008. Y. Feng, “Estimation of Light Source Environment for Illumination Consistency of Augmented Reality,” 2008 Congress on Image and Signal Processing, pp. 771-775, 2008. 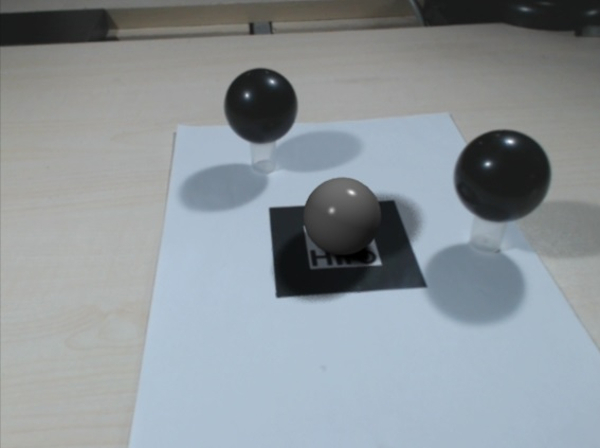 M. Kobayashi, Y. Manabe, and N. Yata, “Interactive Estimation of Light Source Position and Reflectance of Real Objects for Mixed-Reality Application,” Int. Conf. on Digital Image Computing: Techniques and Applications, pp. 1-8, 2013. K. Jacobs, C. Angus, C. Loscos, J.-D. Nahmias, A. Reche, and A. Steed, “Automatic generation of consistent shadows for augmented reality,” Proc. Graphics Interface, Canadian Human-Computer Communications Society, pp. 113-120, 2005. I. Arief, S. Mccallum, and J. Y. Hardeberg, “Realtime Estimation of Illumination Direction for Augmented Reality on Mobile Devices,” Color and Imaging Conf., Vol.6, pp. 111-116, 2012. W. Zhou and C. Kambhamettu, “A unified framework for scene illuminant estimation,” Image and Vision Computing, Vol.26, No.3, pp. 415-429, 2008. Y. Kato, T. Horiuchi, and S. Tominaga, “Estimation of multiple light sources from specular highlights,” Proc. 21st Int. Conf. on Pattern Recognition (ICPR), pp. 2033-2086, 2012. M. W. Powell, S. Sarkar, and D. Goldgof, “A Simple Strategy for Calibrating the Geometry of Light Sources,” IEEE Trans. on Pattern Analysis and Machine Intelligence, Vol.23, Issue 9, 2001. Y. Liu, Y. S. Kwak, and S. K. Jung, “Position estimation of multiple light sources for augmented reality,” Computer Science and its Applications, Lecture Notes in Electrical Engineering, Vol.330, pp. 891-897, 2015. R. Hartley and A. Zisserman, “Multiple View Geometry in Computer Vision,” Cambridge University Press, 2003.